Vinay Mahajan had entered a refugee camp in Serbia as guided by an agent. 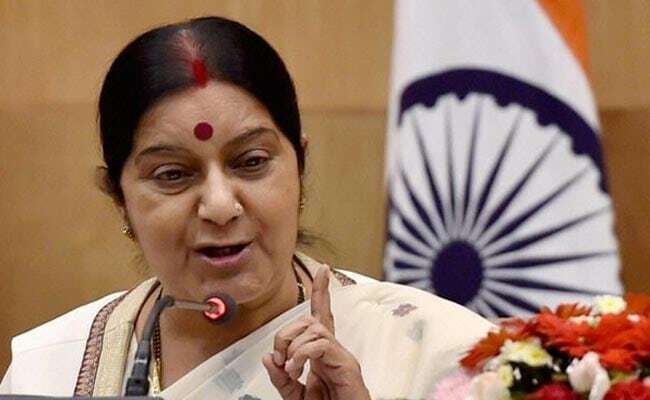 New Delhi: External Affairs Minister Sushma Swaraj on Thursday once again responded to a distress call about an Indian abroad, saying that the victim has been found and is in safe custody of that country's authorities. Responding to a tweet by a person named Rajeev Sharma that his brother Vinay Mahajan has been kidnapped in the central European nation of Serbia and the kidnappers were threatening to kill him unless paid money, Sushma Swaraj tweeted: "Indian Ambassador to Belgrade Sanjay Verma has just informed me that Vinay Mahajan has been found and is in safe custody of Serbian authorities." Thereafter, Mr Sharma said in a separate tweet that Mr Mahajan had entered a refugee camp in Serbia as guided by an agent. To this, Sushma Swaraj, alerting Protector General of Emigrants M.C. Luther, said: "Mr. Luther -- This is because of the agent who sent him there. This agent deserves exemplary punishment." Formerly a part of Yugoslavia, Serbia became an independent republic in 2006 when the Balkan country curmbled. According to the Indian Embassy in Belgrade, there are only a handful of NRIs and persons of Indian origin (PIOs) in Serbia and there is no Indian community association there.